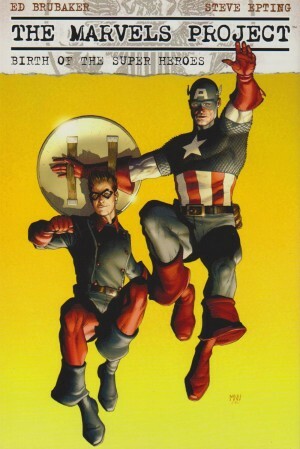 With Marvels Kurt Busiek managed what very few others had in decades: a new way of viewing superheroes. His method, in hindsight, was simple. He presented them as Gods, as seen by ordinary people in the earliest, less crowded days of the Marvel universe. 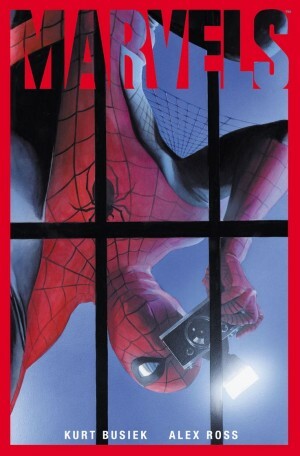 He accentuates the innocence of the times, both among the superhero fraternity and those catching the occasional glimpses of a world beyond their imagination, and closes the era with the death of that innocence along with Spider-Man’s girlfriend Gwen Stacy. 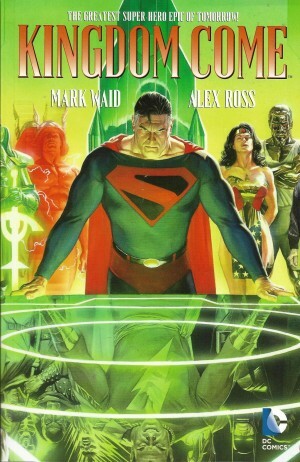 Busiek was helped greatly by the photo-realistic art of the then largely unknown Alex Ross. He arrived pretty well the finished article, his painted graphic naturalism as wonderful as the scenes he evoked. He packed his crowds, convinced with the period settings, and knew how to lay out the appearances of the superheroes for maximum gosh-wow impact. 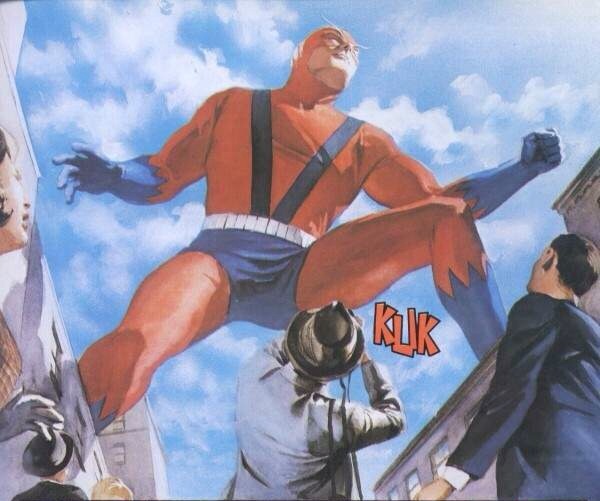 In Marvel terms Giant-Man was a relatively mundane superhero, yet viewed from below striding across buildings he presents a remarkable image. Ross appears not to have progressed one iota in the years since painting Marvels, but was a revelation here. The way into Marvels is via Daily Bugle photo journalist Phil Sheldon, present in 1939 as the android Human Torch battled the Sub-Mariner at the birth of the heroic age, and witness to many pivotal events thereafter. Sheldon’s attitude to the wonders that have appeared in his world shape the narrative. Initially sceptical, the patriotic red, white and blue of Captain America eases his mind, and by the 1960s he’s still capable of being awed by the appearance of the Silver Surfer and Galactus. Sheldon is a well-rounded character who develops as he ages, and the wonders he sees are counterpointed by his own human problems. 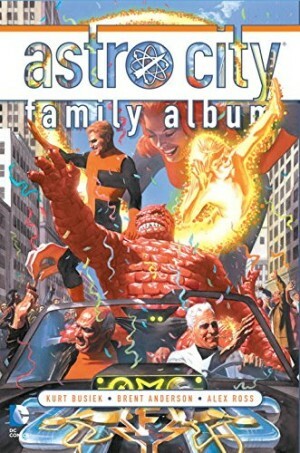 There’s the proposed book publication of his photographs, illness, injury, doubts about marriage, his briefly buying into the hysteria surrounding mutants and much more. The deliberate fixed progression of time surprises as it flies in the face of the continual revisions Marvel make to keep their characters current. Years are noted, and cemented by familiar real world faces or events. The Beatles, oddly sitting apart, attend the wedding of Reed and Sue Richards. Without this progression, though, Marvels would be a lesser project. 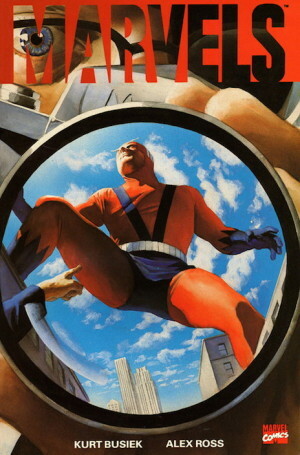 Time and repetition, ironically most frequently by Busiek himself within Astro City, have dulled the novelty, but the thought applied beyond the initial premise ensures Marvels remains a diverting read. 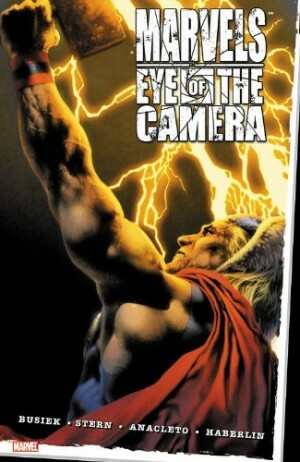 Busiek would return almost fifteen years later for the far more perfunctory Marvels: Eye of the Camera. 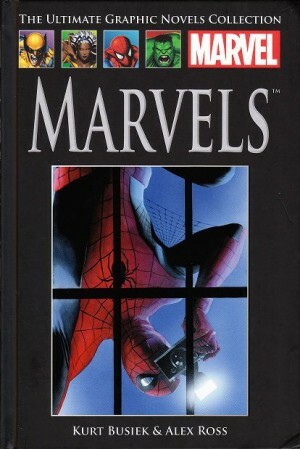 Such has been its reception that Marvels has remained available since 1995, through numerous printings. 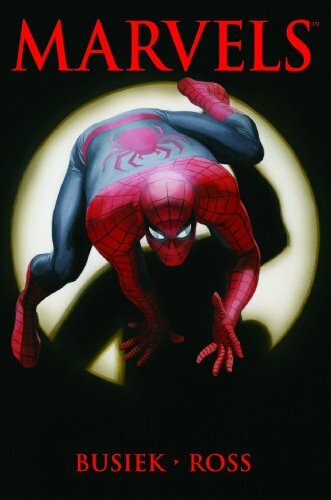 The current gold standard is the UK hardback version published by Hachette as part of their Ultimate Graphic Novel Collection partwork, with an introduction from Stan Lee and commentary from Busiek, Ross and John Romita.